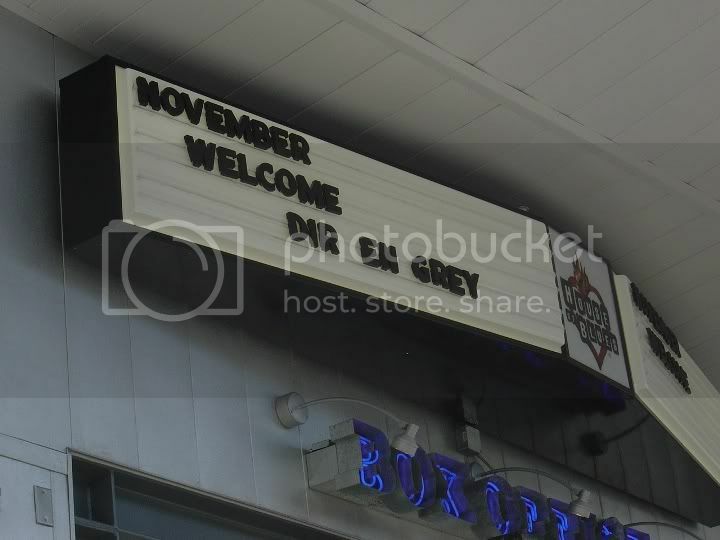 So after an epic, ten-hour wait in line, I saw Dir en grey last night at the House of Blues in Houston (this is the link to my report of the concert on last.FM). The only down point about the entire experience was the whole cutting-in-line issue that has been prevalent both other times I saw them, and I’m forced to wonder, is this common? I suppose it really has nothing to do with being a gigantic weeaboo, but I’ve only ever attended five concerts, including last night’s. Three of those five shows were for Dir en grey, though to be fair, one of the Diru shows was technically a Deftones show. Of the other two, one was to see Muse at Madison Square Garden, and the other was to see Meg&Dia, a very indie band at a very indie venue. Since I didn’t have pit tickets for Muse and since Meg&Dia isn’t exactly a big deal, the Dir en grey shows are the only shows where I had to deal with lines. I don’t understand people that don’t understand line etiquette since it seems like it should be common sense. When a line starts to form at the break of dawn the day of the show (and occasionally, the day or night before the show), it’s obvious that people will be coming and going a bit, but the point of getting there so early is to hold your own place, not someone else’s. Below are two rules that I think are fairly intuitive… if everyone followed them, I would have absolutely no quarrel with anyone in line. 1. Sa Bir: Starts off with some interesting bass buzzing, hushed whispers in the back, and a very haunting melody on some kind of string instrument I’m not familiar with. The feel is very traditional Asian or Indian sounding, which is appropriate considering the title (I have no idea what it means, but it looks Indian or Middle Eastern to me). The voices in the back sound like some kind of story that you only have a vague grasp of — there’s someone threatening sounding and someone defeated sounding. It’s very intriguing… the softness of it does remind me a bit of the first track on MARROW, but the strings and the voices really suggest that something different is happening here. There’s been a lot of political gossip going around since Sarah Palin was put on the Republican ticket. Even before that though, McCain was comparing Obama’s rampant popularity, especially among the 18-24 generation, with a celebrity status. This, along with the recent live action movies I’ve seen involving j-musicians, got me to thinking about how most Japanese celebrities are very, very secretive. Japanese people seem to be really into privacy in general though. They rarely put names on personal websites, are gung-ho about blurring out faces in photos, and prefer anonymous BBS to member-registration-required forums. Celebrities, particularly musicians, seem to be take it a step further. For one, most j-rock artists operate under stage names and aliases. Who knows what 雅 -miyavi-‘s real name is? Pata, hide, Yoshiki, Toshi, and Heath of X Japan — at least three out of five names are obviously fake. 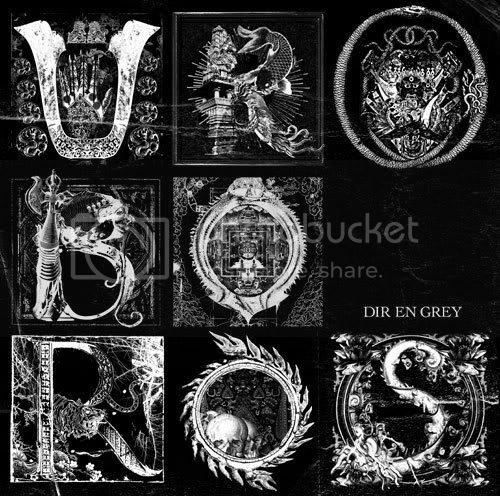 The real name of Dir en grey‘s 京 (Kyo) has been a topic of much speculation as he signs his name as Tooru Nishimura in his poetry books, but some sources claim his surname to be Niimura instead. ,Magazines and fansites love listing supposed real names, but it’s incredibly difficult to find any sort of reliable documentation. Gackt’s full stage name Gackt Camui, but it’s still a far cry from whatever his real name is. Birthdays are similarly difficult to find. Gackt’s birthday is July 4th, but the year is still a big question mark. hyde did not confirm his birthday to the public until an interview in 2002, more than a decade after L’Arc~en~Ciel‘s debut.